Gonzalo Lira has had a varied career as a novelist, screenwriter, film producer and director, venture capitalist, and economic blogger. Educated at Dartmouth College, he has lived throughout the United States, Europe, and South America. In 2014, The Daily Reckoning ranked him number five of their list “The 50 Best Investing Blogs”. Gonzalo was one of the first to point out how Quantitative Easing would hurt most every worker in America, save the One Percent. He also correctly predicted the open-ended Quantitative Easing—QE-3, often derisively called QE-Infinity—with which the Federal Reserve has continued to print billions of dollars every month, in an effort to prop-up the equities and bond markets. 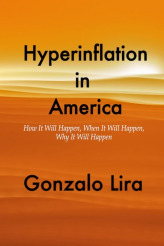 But apart from his theoretical knowledge, Gonzalo has had the unique experience ofliving through actual periods of hyperinflation in Chile, Argentina and Brazil. His unique insights, and the unique perspective he brings, can help you make sense of what’s to come in America. 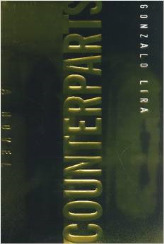 Starting in 2010, Lira began contributing economic analysis to sites such as Zero Hedge, Naked Capitalism, TalkMarkets, Seeking Alpha and Business Insider. The Twitter In The Coalmine: The End Of Asset Price Inflation? So Twitter (TWTR) released some user figures, and they are not good. Bottom line, the company is losing money, and its user-base is shrinking—which is why the stock took an 11% tumble in after-hours trading as I write these words. Twitter’s stock has fallen nearly 50% in four months. IRL The New Ireland Fund Inc. Description: What will happen when the frayed bonds between Americans finally snap, and the United States becomes a free-for-all? 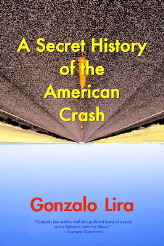 In this groundbreaking new novel, Gonzalo Lira creates a mind-blowing alternate history, showing in mesmerizing detail what could happen in an America that’s gone off the tracks. Written from the point of view of the year 2020, the Secret History presents the testimony of eye-witnesses to the events that marked and shaped America between 2014 and 2020. Description: For the last six years, the amount of dollar-creation has been unprecedented in both U.S. and world history. In less than six years, the Federal Reserve has “expanded its balance sheet” by over three trillion dollars. To give you the visual: $3,150,000,000,000 Yes: That’s what’s been printed by the Federal Reserve. Description: FBI agent Margaret Chisholm-a single mother and soccer mom, quiet, competent-is possessed of an unpredictable red rage that awes even her toughest colleagues. CIA agent Nicholas Denton-once a rising star, now considered a "disappointment"-manages to subtly control much of the Agency from his low-level desk. When Sister Marianne, a nun with a past, becomes the target of a fearsome international assassin, Chisholm and Denton are teamed up in an unlikely intra-agency pairing, code name: Counterparts.